Eurostar has announced a new service from London to Lyon and Marseille starting in 2015 which will create new travel opportunities for travellers bound for the Mediterranean (photo © Baloncici). 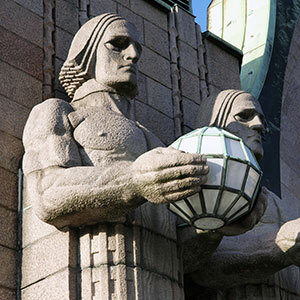 In the two or three months prior to the annual revamp of European rail timetables, there is inevitably speculation and angst about how the new timetables might impact on travel plans. There’s a lot of heart beating about services likely to be axed and some rejoicing over new services being introduced. The timetable change is coordinated across more than 100 European rail operators and takes place in mid-December each year. This year the new schedules are effective from Sunday 14 December. Of course, not every change to timetables will come into effect on 14 December. Some new routes may only debut later in 2015. The key point is that, as the new schedules are unveiled, we can preview what new travel opportunities will emerge in the months ahead. 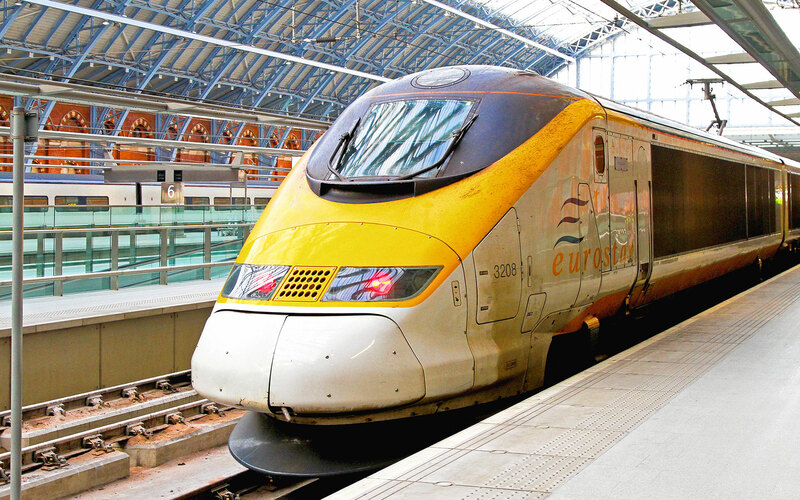 Brits with an affection for continental rail travel will no doubt have their eyes on Eurostar which has already announced an important new development for 2015. Effective May next year, Eurostar will operate a year-round service from London St Pancras to Lyon Part Dieu, Avignon TGV and Marseille St Charles. With a travel time from London to Marseille of just six and a half hours, the new train is sure to be a hit with Londoners keen to take a break on France’s Mediterranean coast. Each new train service that is launched — and there’s every indication that there will be a raft of new services across Europe in 2015 — brings a host of new journey opportunities. Mainstream media have certainly mentioned the new direct Eurostar from London to Marseille, but have overlooked the wider implications of the service. We think the new year-round Eurostar link from London to Lyon and Marseille will reshape wider travel patterns. It will, we suspect, become the preferred service for many travellers from London to a great stretch of the Mediterranean coast — effectively from Barcelona to Genoa. Whether they are bound for Catalonia or Liguria, the 07.17 Eurostar departure from St Pancras could well become the most popular departure for travellers looking for some Mediterranean style. Let’s look at the facts. The most obvious rail route from London to Genoa at present is via Paris and Milan. It can be done in a day, but only if travellers are up at the crack of dawn (or earlier). You have to take the first Eurostar of the day to Paris, where you change stations. Then it’s on to Milan where another change of stations is necessary to catch the onward train to Genoa. This is all very arduous. But passengers bound for Liguria will benefit from the launch this December of a new direct train from Marseille to Sanremo, Genoa and Milan. For travellers originating from London, the new Eurostar service to Marseille will provide a useful connection to the mid-afternoon Thello service to Italy. This will cut out those cross-city journeys between stations in both Paris and Milan and allow passengers to travel from London to Genoa with one easy change of train. Since the opening of the new high-speed cross-border link from France to Spain, travellers from London have discovered just how easy it is to reach Barcelona in a day by train. Through trains from Paris to Barcelona started in December 2013 and they have become firm favourites with British travellers who speed from London via Paris to Barcelona — with a change of station in Paris. While our London to Liguria itinerary via Marseille is considerably faster than any current option by train, our London to Catalonia route via Lyon offers no time advantage. But we suspect that the prospect of a single change of train at Lyon (so obviating the need to switch stations in Paris) will be immensely appealing to older travellers — or indeed to anyone travelling with children or heavy luggage. The Lyon route will also appeal to those travelling beyond Barcelona to other points in Spain. It gives an earlier arrival in Barcelona than the Paris route. It’ll be possible to travel from London to Madrid, arriving before midnight with just two easy changes of train (at Lyon and Barcelona). The prospect of same-station changes, cutting out transfers between stations in Paris, will surely pull the crowds. Here's my timetable change round up: http://worldcarfree.net/projects/back-on-track/index.php#news I'm pleased to say there are more good news bullet points than bad so far. Thello's new service remains somewhere inbetween for the moment. London - Marseille will earn a listing if it runs more frequently than once a week. Do you know what is planned? The provisional timetable and days of operation of the new London to Marseille service were published some time ago. You'll find them in the European Rail Timetable in Table 17a (Winter Preview). Thrice weekly from 1.5.14 rising to five times each week from 3.7.14. 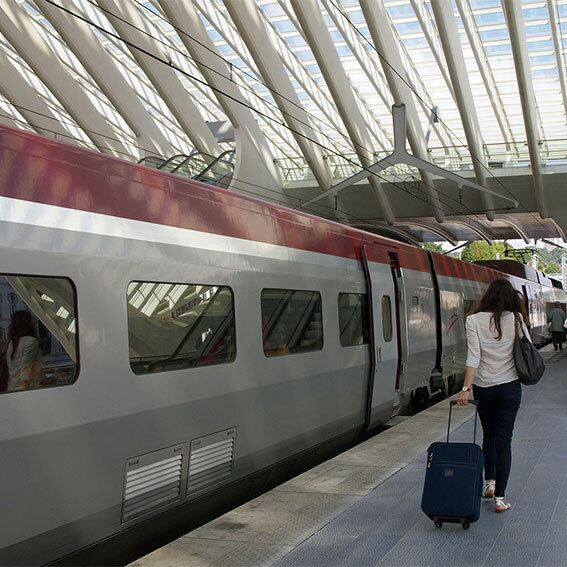 The article above focuses just on that new Eurostar service but travellers from Britain will also benefit from the new direct year-round Lyria service from Lille to Geneva. It will, we suspect, have a dramatic effect on traffic flows from London to Geneva, for many will surely judge an easy change of train at Lille Europe very much more preferable than having to change stations in Paris. I would be great a direct train from Barcelona to London (and viceversa)! In any case, I think that a 9-10h traject would be much better during the night. Is there any best option than taking a train on Friday evening and getting back home Monday morning? It wouldn't be a bad idea to have Night High Speed trains for long routes.